Turn on device by pressing the power button until it powers on. Apply directly on skin so light is fully surrounding the pimple. Treat for two minutes - the device will automatically turn off after the two minutes. The portable device is pretty much the size of a pen and can be carried around to be used anywhere at any time of the day - maximum 3 times a day. I was able to use the Spot Treatment if I spotted a pimple in the morning, when I'm at my desk, even during car rides (don't worry, I'm always either in the passenger or back seats). It only takes two minutes versus ten minutes - although it's always good to give yourself some "me time" every here and there. 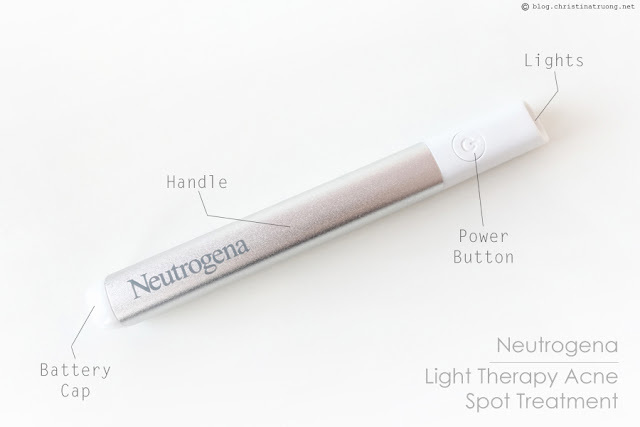 Also, the battery can be replaced for continued use compared to the Neutrogena Light Therapy Acne Mask where the Activator needs to be replaced after every 30 sessions. Although it doesn't simply zap a pimple away (one can wish), in just 2 minutes, the Spot Treatment targets and treats it. Usually it takes over a week for a pimple to heal on its own but with the Spot Treatment (as well as the Mask), it only took a few days and my acne shrunk and disappeared. As mentioned earlier, I love my Neutrogena Light Therapy Acne Mask but the Spot Treatment is portable, takes less time and can be used continually. I will continue to use the mask for the days when I feel like I have a ton of acne around and perhaps give myself a 10 minute "me time". But when there's just one or two pimple that show up unexpectedly, I'll use the Spot Treatment and treat them individually. 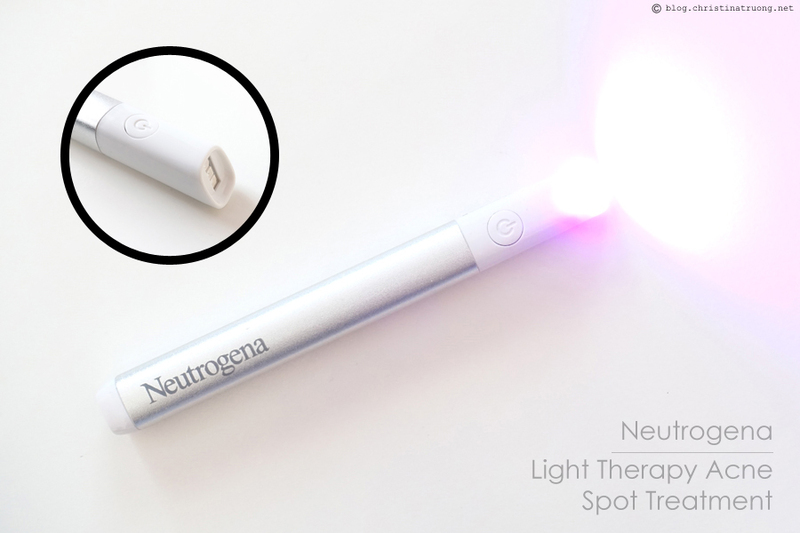 What are your thoughts on Neutrogena Light Therapy Acne Spot Treatment? 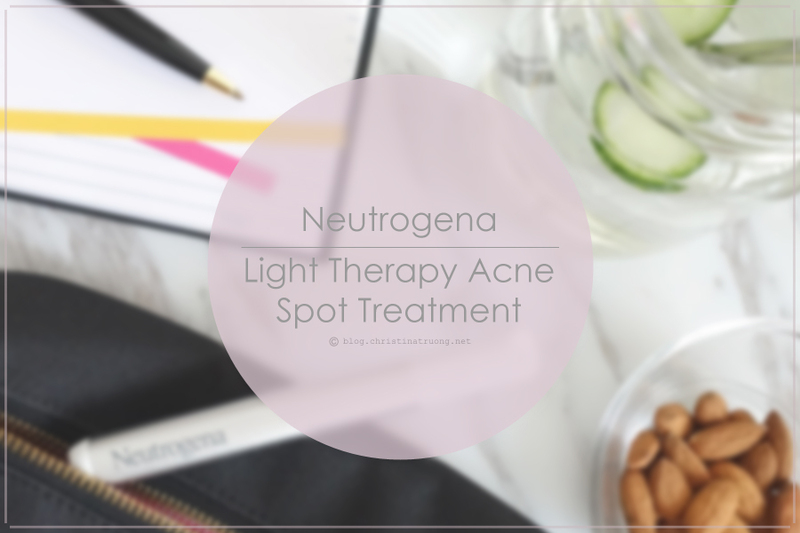 Have you tried either the Neutrogena Light Therapy Acne Mask or Spot Treatment? Neutrogena Light Therapy Acne Spot Treatment is now available at Shoppers Drug Mart. Disclaimer: Sponsored. 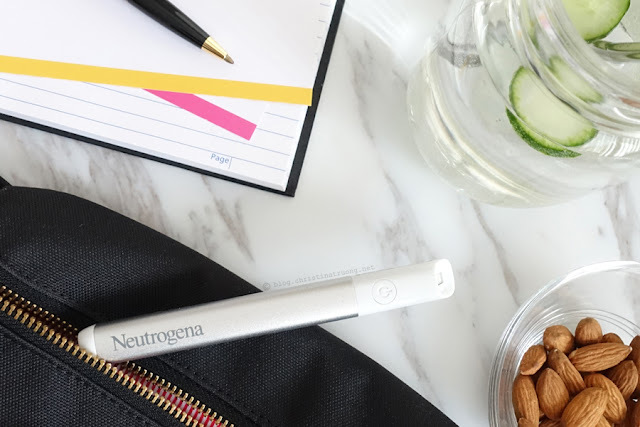 Products received under this post were provided by Neutrogena. Views expressed are honest and of my own.